The British know how to party when it comes to the holidays and will pull out all the stops to make Christmas and New Year's go out with a bang. Believe it or not, many preparations actually start as early as September, when it is time to make the traditional Christmas Cake, and then pretty much carry on from there. Whether in the form of the traditional pudding, mince pies, tasty desserts or regional treats, we Brits know how to celebrate. Below, we provide a variety of options for you to try sprucing up your holidays the British way this year. Cheers! 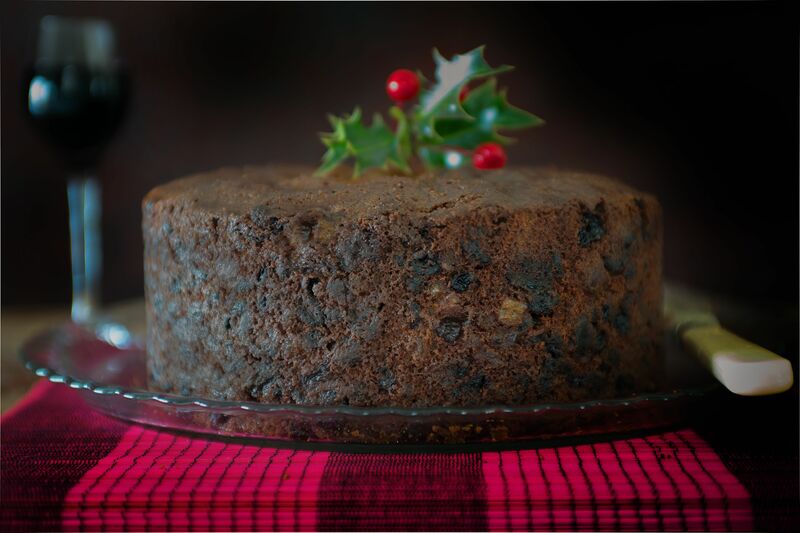 A British Christmas would never be a real one without a classic British Christmas cake. The rich dried fruits are marinated in brandy or sometimes rum, and then mixed into a delicious, rich, heavily spiced cake. The cake can be made as early as September and then fed at periods with a little more brandy to help mature the cake. Iced or not, it is served from Christmas Eve onwards until it is gone, which is usually not that long. The alternative to the above cake is a Scottish dundee cake. While this particular cake is still packed with fruits and nuts, it is not as heavily flavored with spices, and does not include the brandy. So if you're looking for a cake that is similar to the classic British Christmas cake, but has a more subtle flavor, try the Dundee. After the Christmas cake, the next most popular treat to serve during the Christmas holiday in Britain has to be mince pie. Back again are the fruits and spices, this time held together with suet and wrapped in light, melting pastry. Should you wish to ring the changes from the traditional, then try a frangipane mince pie. While this may be similar to the traditional mince pie, it also has a very welcoming cover of almond flavored cake-like topping providing a unique flavor combination. 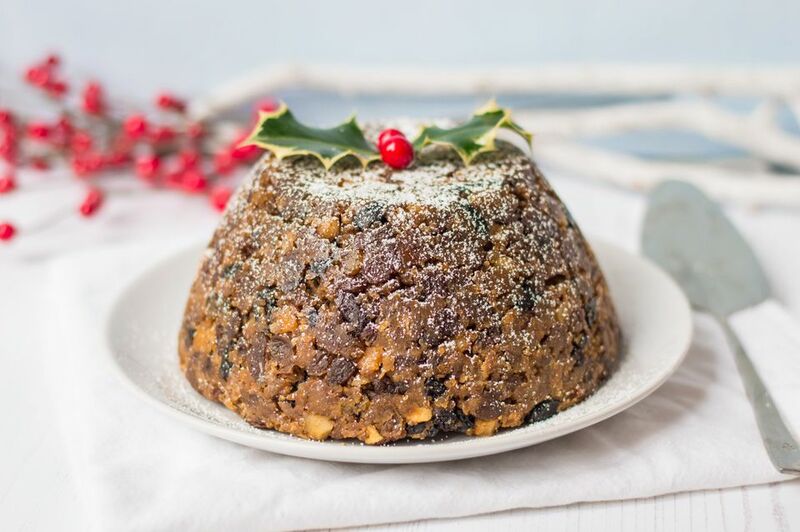 The making of the traditional Christmas pudding starts on Stir Up Sunday, the last Sunday before the start of Advent, which is roughly five weeks before Christmas. The tradition of the pudding dates back centuries, though in recent years it has been said to have fallen out of favor, this is not the actual case. This delight of the holidays is still firmly fixed in the starring role of the Christmas lunch. Once you try it, you'll understand why. Second only to the traditional Christmas pudding is a classic British trifle. The trifle will make an appearance for sure on Boxing Day and also again on New Year's Eve. If you are in Scotland during the holidays, you will probably come across a tipsy laird trifle, similar to the English one, but with a dash of whiskey instead of sherry. Though this sweet treat may be called Scottish shortbread, it is eaten everywhere across the United Kingdom during the holidays, which is not surprising. This buttery bake is simply delicious! The shortbread is an intrinsic part of Hogmanay (Scottish New Year) and is so good, why keep it for just one day. A yule log is the obvious choice if you want to replace a traditional pudding. With its sponge cake, cream filling and layer of chocolate ganache, this excellent treat is well worth the effort. Yes, it may be a bit tricky to roll at first, but taking it step-by-step, you will discover it is not so hard. Plus, in the end you will be rewarded with a stunning dessert! Stollen is not a British cake, but as part of a British Christmas, it is most definitely a part of the festivities. While it may not be the easiest recipe to make, it is definitely worth the effort and certainly plays a significant role at the holidays, as it is rich in fruits and marzipan. Delicious! Last, but certainly not least, is the lightest of the bunch here: the Christmas spiced Victoria sponge cake. A take on the ever-popular cake that is synonymous with baking in Britain, this recipe has a lovely, warm, Christmas-y flavor to it that we are sure will appeal to almost everyone's sweet tooth.